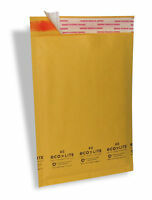 100 #000 4X8 Kraft Bubble Padded Envelopes Mailers 4 X 8 Self Sealing 4"X8"
fantasybuy02 has no other items for sale. There are 15,828 items available. Please enter a number less than or equal to 15,828. A1 A1 A1 Seller highly recommended. 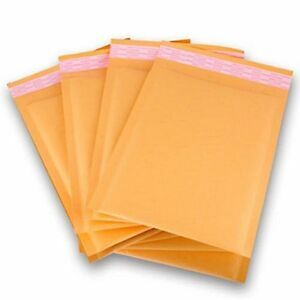 Ordered Polycyber, rcd YENS mailers - Cheap china junk! 14 days from NJ to PA!? Good quality construction; glue strips placed correctly with good adhesion. Generous sizing - slightly larger than the average fits a 10 ounce paperback perfectly. A happy customer here. Good quality and strong. The self adhesive flap does not even need any extra tape. 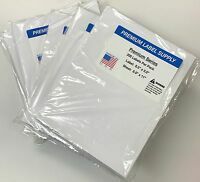 I trust these envelopes to send my products. 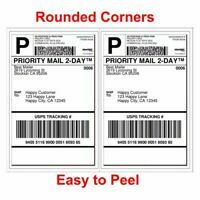 Self adhesive backed shipping labels stick to the these envelopes very well. I would recommend these to everyone. 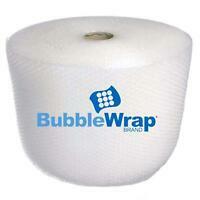 OK for non damageable items but VERY thin paper and bubbles. I will stick with a better Quality next time. Price was good but just to thin. 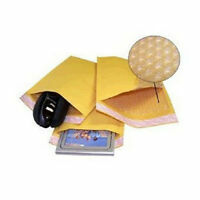 You will never find greater value and a higher quality for the price! Buy them....Buy them all!!! !